The Secluded and Spectacular Beaches of Salt Cay! The incredible beach and ocean at North Bay, Salt Cay. The little island of Salt Cay offers a surprisingly varied selection of beaches. The northern and western coasts feature sheltered beaches and white sand, and the eastern side of the island takes on a bit more of a rugged appearance, with bluffs, rocky coasts, and rougher ocean conditions. 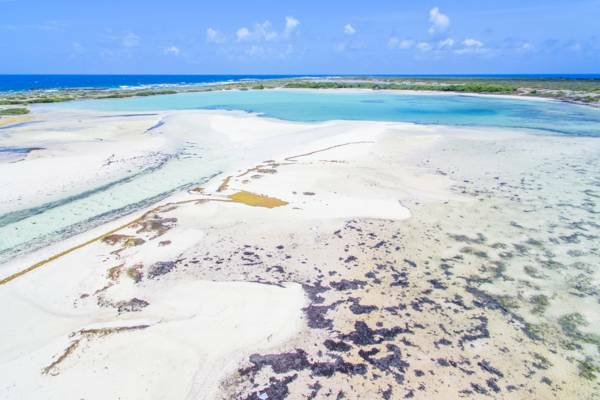 The exquisite and secluded North Bay is by far the best beach on Salt Cay, and offers perfect turquoise water, clean white sand, and the occasional snorkelling reef. The finest section of this coast fronts the ruined Windmills resort. The beach to the north of Deane's Dock and Balfour Town is also quite nice, albeit quite rocky. Due to being in the lee of Little Bluff Lookout, this beach is typically quite calm. A great aspect of exploring the Salt Cay beaches are seeing hidden points of interest that are scattered across the island. There are centuries-old salt salina features, historical ruins, old wells, and wetlands. Small routes lead across the dunes and salinas, and are great to explore. Although not quite a beach, the largely interior South Creek offers shallow water, soft white sand and small sandbars and channels. The water here tends to be calm and warmer than what’s found at the island’s other beaches, which makes it a great coastal area for children. It’s quite easy to access nearly every beach on Salt Cay. Many the roads and paths lead along the coast, so you’ll be able to simply stop at any spot that looks inviting. Salt Cay offers some great and varied snorkelling. The sheltered waters off of Deane’s Dock, Balfour Town Beach and Little Bluff Lookout are a great place to start as the ocean at these locations is often calm and underwater visibility is usually great. North Bay also supports some great reefs. The snorkelling sites in this area tend to be distinct circular reefs that stand out from the otherwise consistently sandy ocean floor. 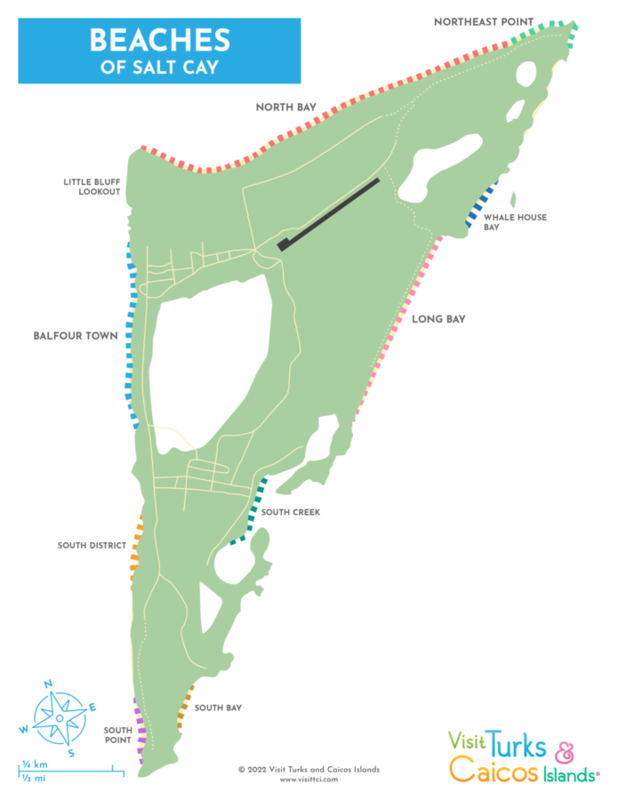 To the west of the main bay is North West Point, where a more complex barrier reef systems closely approaches the shore. South District Beach hides two fascinating underwater sights: a sunken Cessna 401 airplane, and a fishing boat shipwreck. These features were intentionally placed as dive sites. During abnormally calm days, some excellent sites at South Point and Northeast Point become viable as well. The shallow channels and sandbars of South Creek. Due to being exposed to the east southeast trade winds, the remote Long Bay, South Bay and South Point are excellent for beachcombing. The items that wash up can be quite interesting, and range from seashells, messages in bottles, sea glass, fishing floats, and more. Cold drinks and snacks can be found at one of Salt Cay’s three small variety shops. Beach shopping is quite limited on Salt Cay. The small Splash Boutique near Salt Cay Divers offers the best selection, with some clothing, a few snorkel masks, sun screen, and gifts. Some of the vacation rental villas include complimentary guest use of beach towels, umbrellas, coolers, and snorkel equipment. 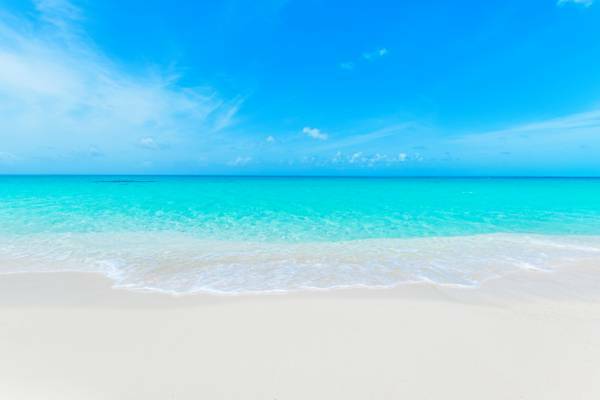 All beaches in the Turks and Caicos are public and free to use.